April 21, 2017  The U.S. announced late last month they'd be redirecting troops hunting the Lord's Resistance Army; Uganda followed suit this week. 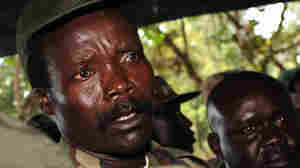 The U.S. says Kony's followers have shrunk to fewer than 100 people. June 17, 2016  She was abducted at age 11 by Joseph Kony's rebels and forced to bear his children. It took Evelyn Amony years to recover. Now she works to help other women caught up in conflict. December 15, 2014  Invisible Children made what some call the most viral video of all time, which helped the group raise more than $30 million — but most of that money is spent, and Joseph Kony is still on the loose. March 24, 2014  The leader of the tiny Lord's Resistance Army is wanted for turning young captives into soldiers and for brutality that stretches across several nations. Social media helped spread the word about him. 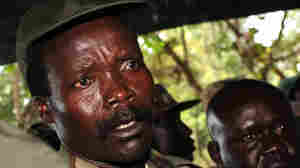 Armies Can't Find Joseph Kony. Can Crowdfunding? 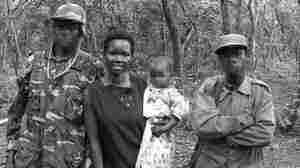 October 30, 2013  Adventurer Robert Young Pelton is trying to raise money to track down Kony, the notorious warlord from Uganda. Pelton thinks he can succeed even though several militaries, including U.S. Special Forces, haven't been able to locate him. 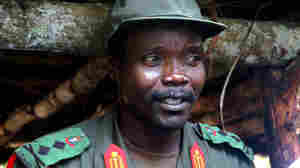 April 2, 2012  The activist group behind the "Kony 2012" movement and Web video that went viral in March says it will release part two on Tuesday. 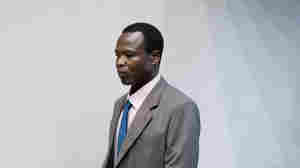 It promises more details and context about the African warlord's alleged crimes. March 7, 2012  The hashtag term #stopkony is trending on Twitter, Reddit.com has been deluged with posts about Kony and he's the subject of a quickly growing number of blog posts and news stories. All thanks to an activist group's new video.